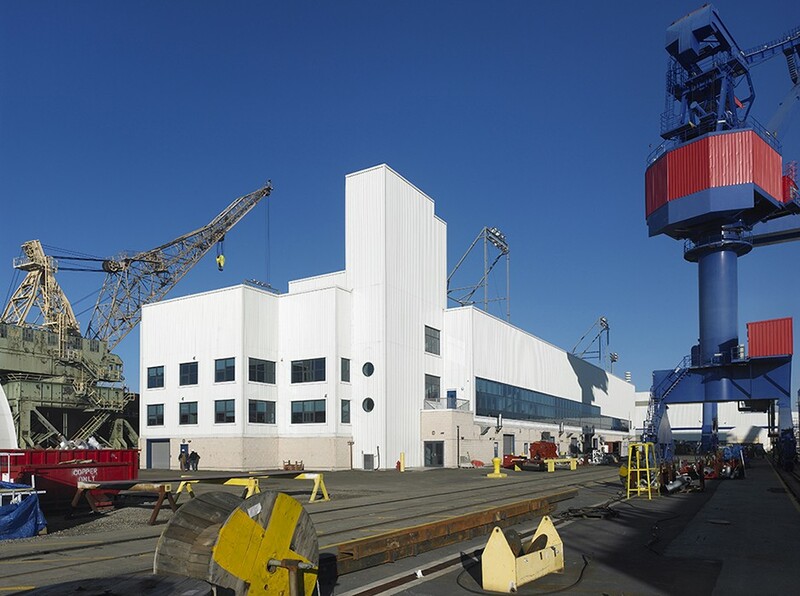 The existing WWII building houses 40,000 square feet of new administrative office space for the shipyard and the headquarters of its parent – Aker American Shipping, ASA (formerly Kvaerner). 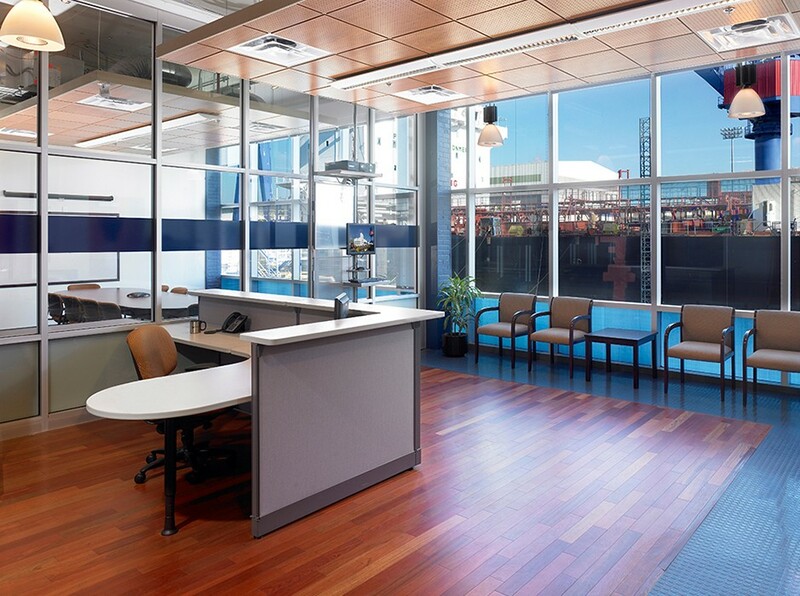 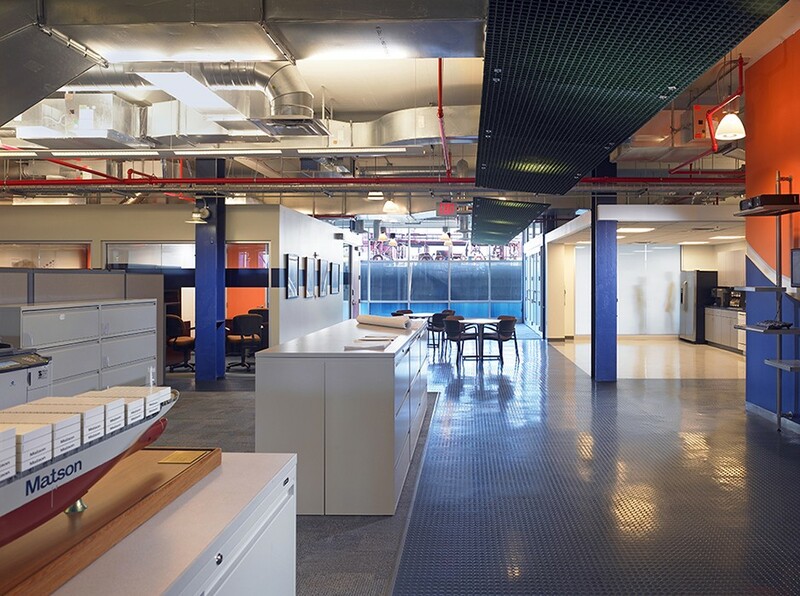 The new headquarters is dramatically located in the center of APSI’s shipbuilding facility at the Philadelphia Navy Yard, in between two active dry docks, with views of the Delaware and Schuylkill Rivers. 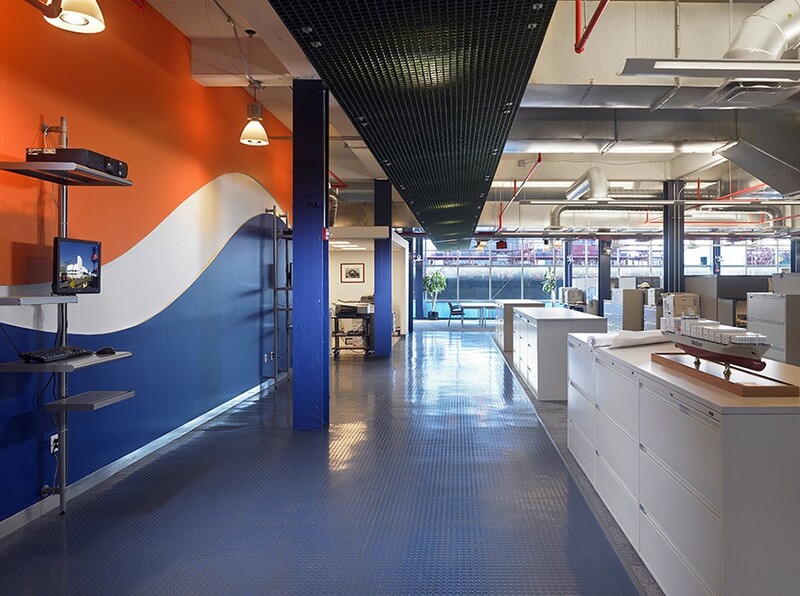 A central axis incorporating materials and products used in their ships looks out over the manufacturing operation and anchors the office workspace.